Lynden International chartered two Antonov aircraft to ship fragile tube bundles from Houston to the Kingdom of Bahrain, located just off the eastern coastline of Saudi Arabia in the Persian Gulf. Bahrain is a small archipelago of 33 islands and is seeing a resurgence in oil and gas activity. According to Lynden International District Manager Diana Martinez, "We began working on this proposal a year ago." Lynden was selected for the job and began the complicated move by picking up eight tube bundles in Beasley, TX and bringing them to the Lynden warehouse for crating. 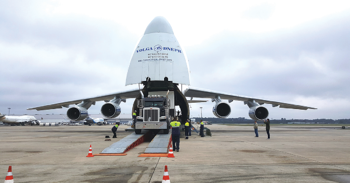 They were then moved to the airport for loading on the two chartered Antonov AN-124s. Each plane carried four tube bundles, each weighing 50,500 pounds and measuring 44 feet by 13 feet by 5 feet. 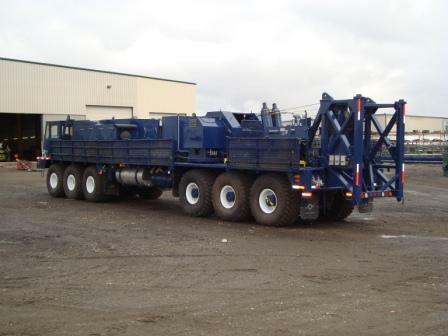 Total aircraft weight: 202,000 pounds. 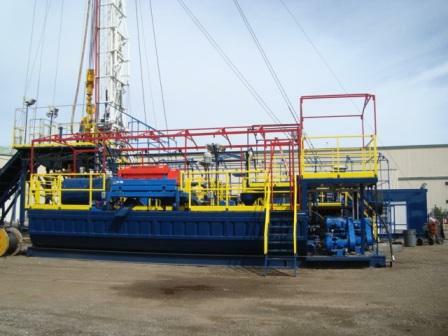 "The tube bundles are used for heat exchangers and they are extremely fragile. The thin tubing on the inner structure is easily bent," Diana explains. With Lynden's careful handling, the bundles were delivered on time and in perfect condition. 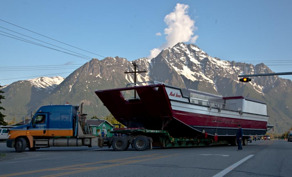 It's been a busy summer for Alaska Marine Lines' Dutch Harbor Service Center. 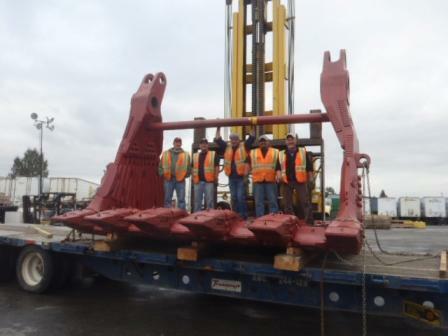 The team recently handled the transport of a 60-ton rotor for Westward Seafoods, welcomed the 100th vessel of the season and moved into a new shop facility. "Alaska Marine Lines moved the rotor from Seattle to Dutch Harbor to replace a failing unit in Westward's plant," says Tyler Riley, Dutch Harbor Service Center Manager. 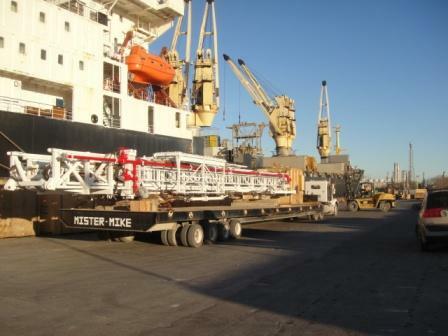 "We used two cranes to lift it off our barge which came in dockside to the Westward plant. The delivery went off without a hitch and we had one extremely happy customer." Dutch Harbor serves as the hub for Western Alaska ports, transferring equipment and cargo as needed between Naknek, Dillingham, Bethel, Nome and Kotzebue. 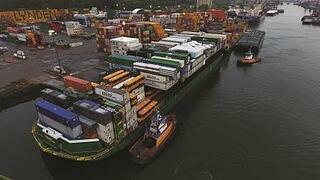 "We have many weeks where barges are back to back and we are working two vessels simultaneously," Tyler explains. 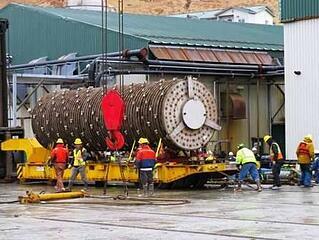 "We move seafood daily from shoreside customer seafood plants Westward Seafoods and Alyeska Seafoods. On average we receive between 10,000 to 20,000 gallons of fish oil and around eight loads of frozen fish daily from the plants during the busy parts of A and B seasons. We also have several fishing vessels that come to Dutch after catching and processing a full load of fish. They offload frozen product into our containers going to Seattle and backload packaging supplies for another trip to the fishing grounds." 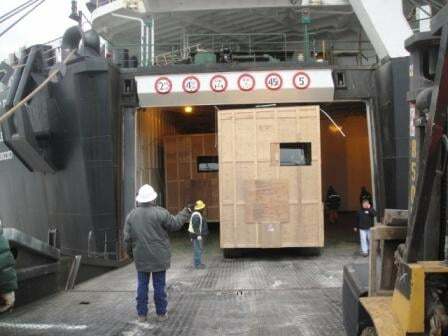 In addition to the daily plant trucking and vessel offload activities, Dutch Harbor provides shuttle barge service for several outports. "During A season we service Saint Paul Island for the opilio (snow) crab season, Sand Point and Beaver Inlet for pollock. During B season we continue the shuttle barges to Sand Point and Beaver Inlet, and add service to Alitak, Chignik, and Port Moller for pollock and/or salmon," Tyler explains. 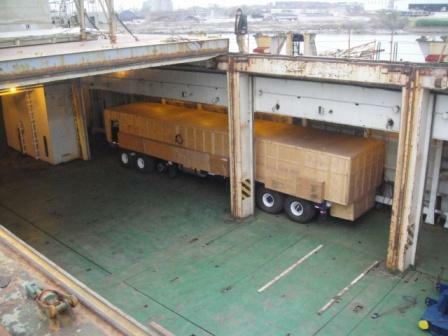 Last year, AML doubled its capacity in Dutch Harbor with a yard expansion of almost four acres and a second barge ramp system for cargo transfer operations. This year's improvements include a new shop and office built closer to the dock and yard. The mechanics now have a flat concrete floor to work on equipment under a roof out of the elements with a stronger connection between the office and the yard operations. The upgraded shop is constructed of 17 40-foot containers recycled from Alaska Marine Lines' Seattle yard. "They fit together like Lego pieces," explains Rob Jones, Assistant Service Center Manager. "John Maketa and Gordy Lindblad did the welding and built a tent roof for the shop. The containers, including some insulated reefers, were phased out of service so it was a great idea to use them to create our new facility."